Since spring is officially here I should probably be thinking about tshirts and summer dresses. But I couldn't help but fall for this rather attractive sweatshirt. Lorien Stern makes some amazing ceramics, alongside a collection of fun printed clothing. I love the panther print on this number, though the bomber jackets are also rather fantastic. More things with eyes on. I can't resist an eye motif and when it comes with fringing and sparkle, I find it even more irresistible. Plus backpacks are super handy and practical. And totally cute, I mean have you seen Clueless! Dark Crystal is one of my favourite childhood films, so of course I love Sugar & Vice's new pin. Who wouldn't want to sport the crystal shard. What's even more exciting is there's also a Tik Tok pin available and a Labyrinth pin in the works. Another two of my favourite childhood films. I'm going to try my best to hold out for all three, as I hear they will be available as a handy set. I just came across Oh My God Jewels on Instagram and I am IN LOVE! Worms, unicorns, teeth and slugs, Oh My! Such an amazingly strange collection of handmade jewellery that comes in a range of awesome colours. I pretty much want it all. Ok, I totally want it all. A little sexier than my usual wishlist items but you can't go wrong with a pencil skirt. The faux leather adds a bit more rock and roll and every girl wants to be a bit sassy sometimes. We couldn't make the recent Nobody's Child Blogger Party (booo!) 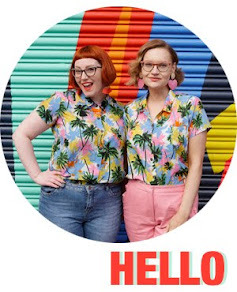 but that hasn't stopped me stalking their site and coveting their cute florals. I'm in love with this super affordable bomber jacket. Swoon! There is something so so chic about all the Paris Essex knitwear. It's quite simple but striking designs and I love it all. This is top of my list. 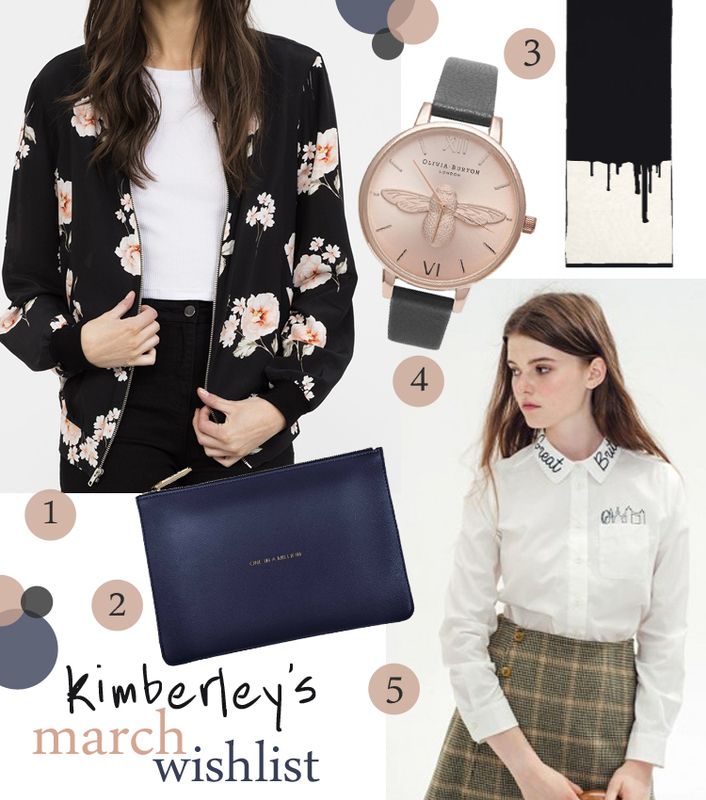 Love bees, love rose gold, love the shape of Olivia Burton watches. Perfect combo. So in love with that eye backpack! O.M.G that mathlete bomber jacket! I love it but if I wore it to work I'd be expected to talk maths with people. Beautiful flower bomber! I would not mind owning one!